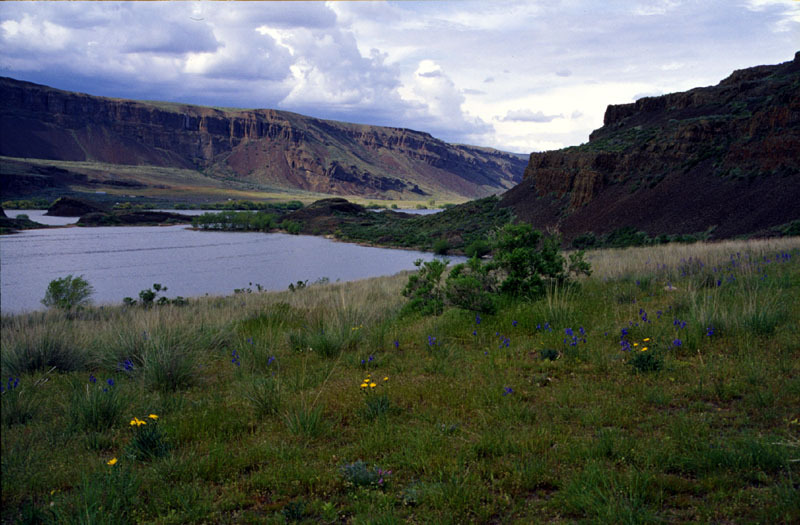 A view looking up the Lower Grand Coulee from the parking area near the Lake Lenore Caves. It is hard to get a sense for the sheer magnitude of the floods from the pictures, but try to imagine this entire canyon filled with water. Alkali Lake is in the foreground, Lake Lenore is off to the left.